The two remaining ‘big four’ accountancy firms have released pay gap figures after Deloitte and EY announced theirs earlier this month. The numbers reveal that PwC has marginally the widest gap. Taking the whole workforce into account, including partners, PwC last week reported a mean gender pay gap of 43.8% and a median gap of 18.7%. Just prior to PwC releasing its figures, KPMG stated its gap, including partners, as 42% and 27%. Including partners in the equation dramatically widens the gap because more senior roles at the firms are filled by men. PwC’s gender pay report states that when the skewing effect of having such a high proportion of senior men at the firm is removed from the calculation its pay gap drops to 2.9%, noting that with this figure “any differences can largely be explained by time in role and skill set factors”. The report also reveals that men account for 61.4% of the roles in the top quartile of the firm, with 52.5% of women accounting for roles in the lower quartile. Marginally more women at the firm received bonuses in 2017 than men (74.3% to 72.6%). 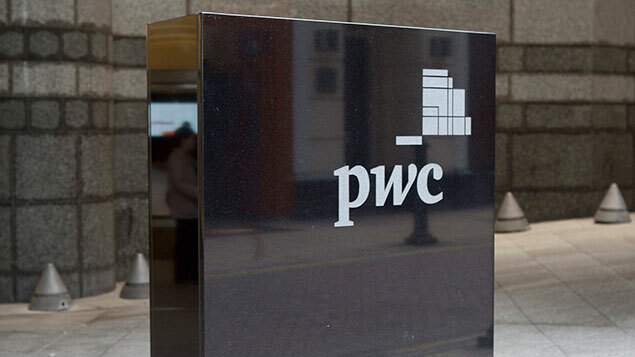 PwC’s report presents combined figures from the organisation’s two legal entities, PwC LLP and PwC Services Ltd. On the Government’s gender pay gap reporting site, however, the figures are presented separately for the two parts of the organisation. The same applies to Deloitte, which presented separate numbers for Deloitte LLP and Deloitte MCS, but combines them in its own report. PwC LLP only employs 2,000 of the consulatancy’s total of 19,000 staff. These are generally its longest serving staff – a higher proportion of whom are support staff. The majority of PwC employees and all joiners since 1 July 2004 are employed by PwC Services Limited, which has a gender pay gap of 12%. At KPMG marginally more men than women received bonuses – 86.2% to 85.8% – but the gender bonus gap was 51.3% (mean) and 27.6% (median). At partner level KPMG has a 12% (mean) and 11% (median) pay gap; 43% of board members are women. Men take up 66.8% of posts in the upper pay quartile; women 56.1% of posts in the lower quartile. He added that he believed the firm was the first of the big four to achieve gender parity in graduate recruiting and emphasised that 40% of board members at KPMG were women. The release of the partner-adjusted figures comes soon after chair of the Treasury Committee Nicky Morgan objected to firms using the “loophole” of not reporting the earnings of partners, despite government guidelines stating that partners in firms do not have to be included in the data.